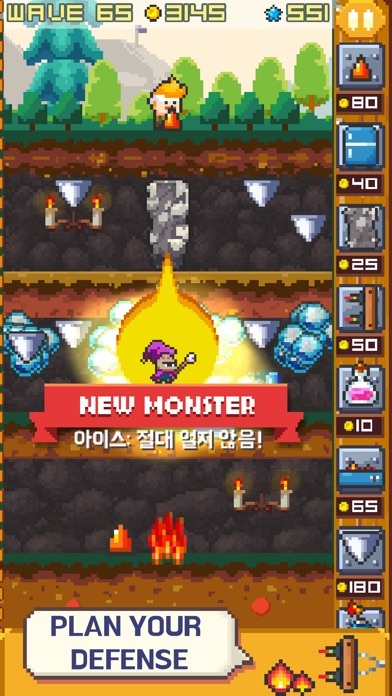 Discussion in 'iPhone and iPad Games' started by Park Pill, Nov 1, 2015. - 70, 90 difficulty decreased. - Achievements will be added. - Trap description will be fixed. - A monster takes damages from FIRE gradually. - When a monster STARTED to burn, it takes 2x damages. Can you be the hero? Monsters are kidnapping people! You are the only one left. 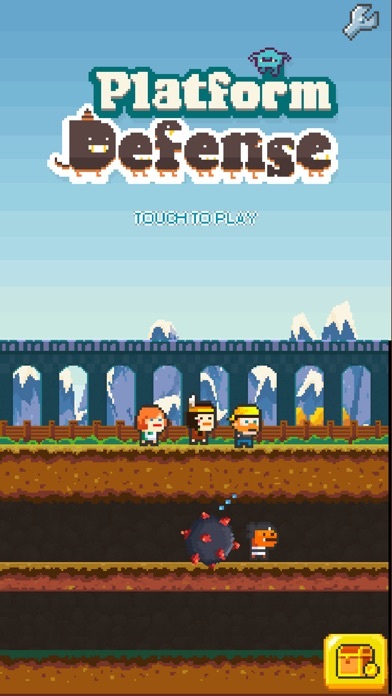 Defend yourself against monsters. And survive through 100 waves! 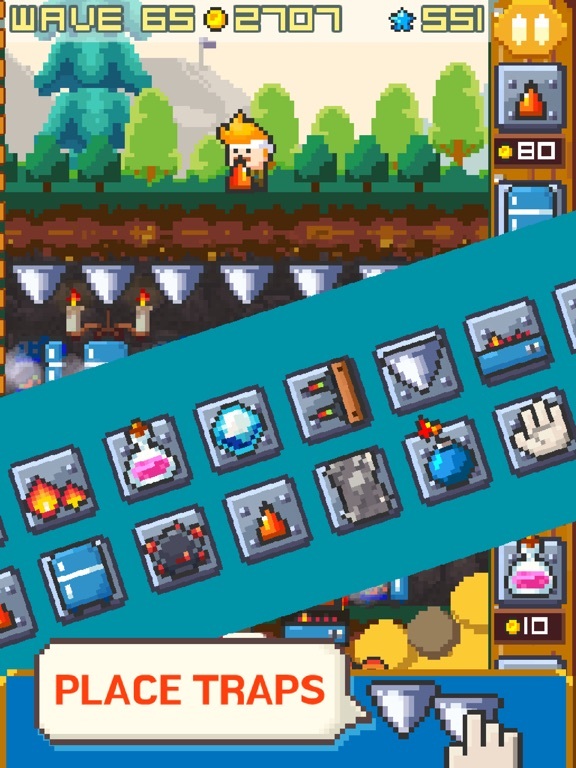 - Special heros to unlock - Source pans to shoot - Unique traps to place - All different elemental monsters to DEFEAT! Trap Description - Spike: Gives damage to enemies that step on. - Freezer: Freezes enemies that are in front of it when it opens . (Ice element) - Wall: Stops enemies for a while. - Wall Spike: Attacks slowly but gives heavy damage. - Flask: 1 time use bomb. - Gas Burner: Gives fire damage to enemies that step on. 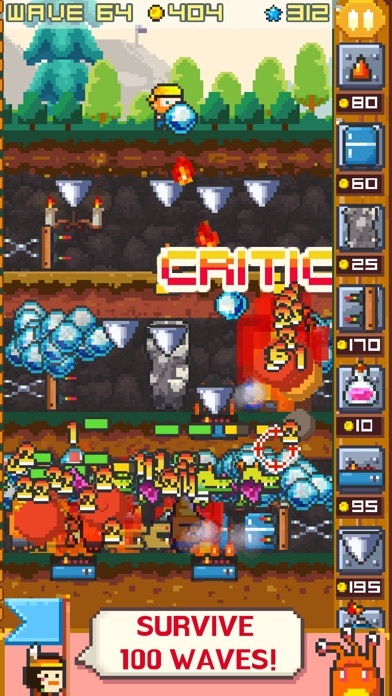 (Fire element) - Spike Drop: Spike drops are falling on enemies' head. - Bomb: Blows after a second when a enemy touches it. - Ice ball: Fires an ice ball. 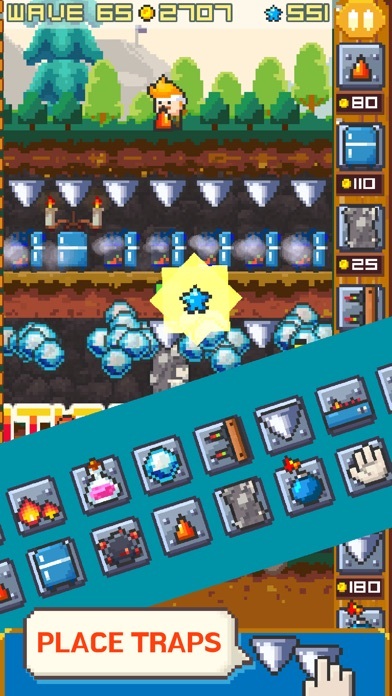 (Ice element) - Boulder: Press enemies so that they can move for a while. 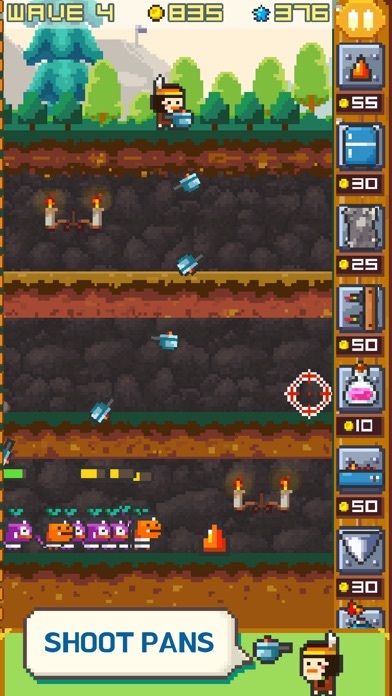 - Fire: Upgrade version of Gas Burner(Fire elemenet) - Big Hand: Push enemies to a lower level. Element description - Fire: Gives 2x damages when enemies start to burn. Gives damages gradually until the fire is extinguished. - Ice: Freezes enemies and extinguishes fire. 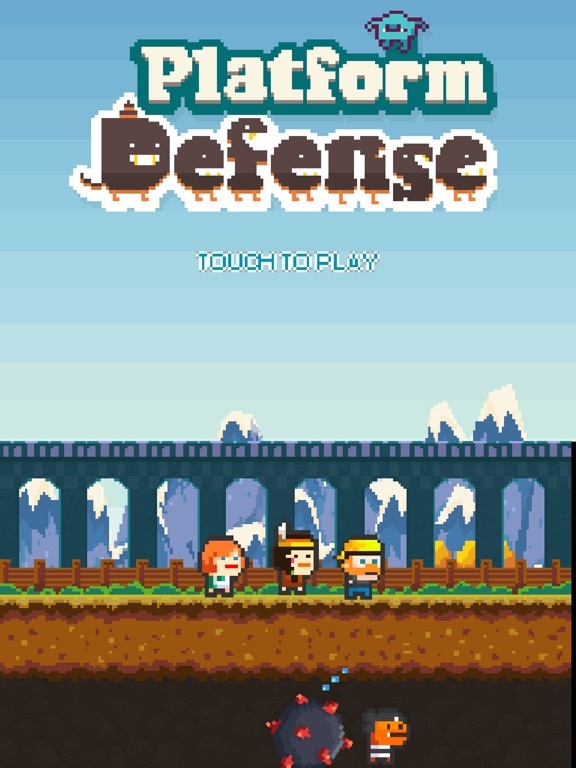 Friends will be helping hero attack monsters! They are unlocked by completing achievements. It will make the game more easier. 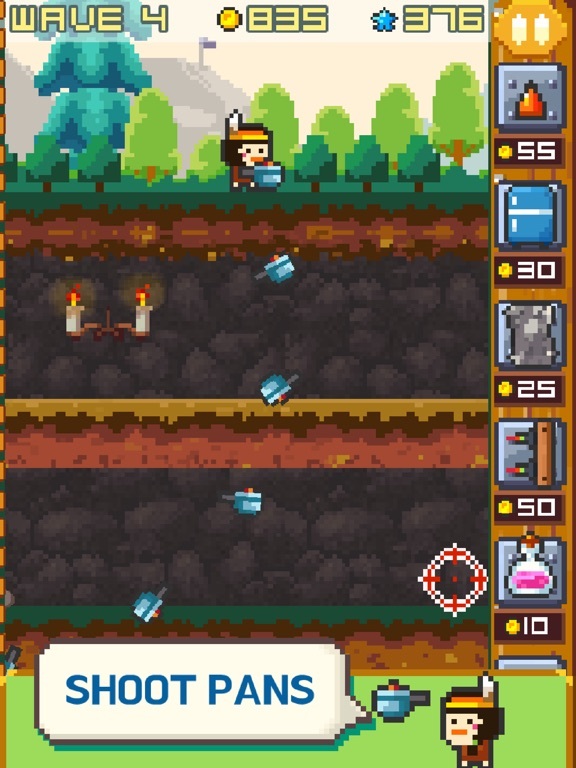 Mine that helps collects coins will be added in the update after the next one. P.S. I am surprised that many people already cleared the game. You can check it in the leaderboard. Finally started playing and this game is great. At first I thought I would fly through the game from the progress I was making but once I hit wave 50 it slowed way down. There are 100 waves and checkpoints at each 10. If you beat the game you can unlock different heroes for different ways of play. 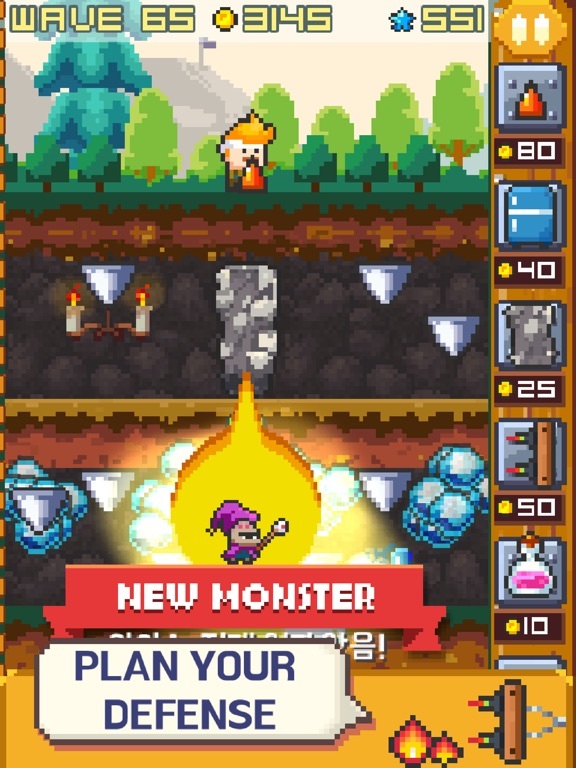 You unlock awesome traps the more stars you unlock which differs from the coins given from the monsters you kill. 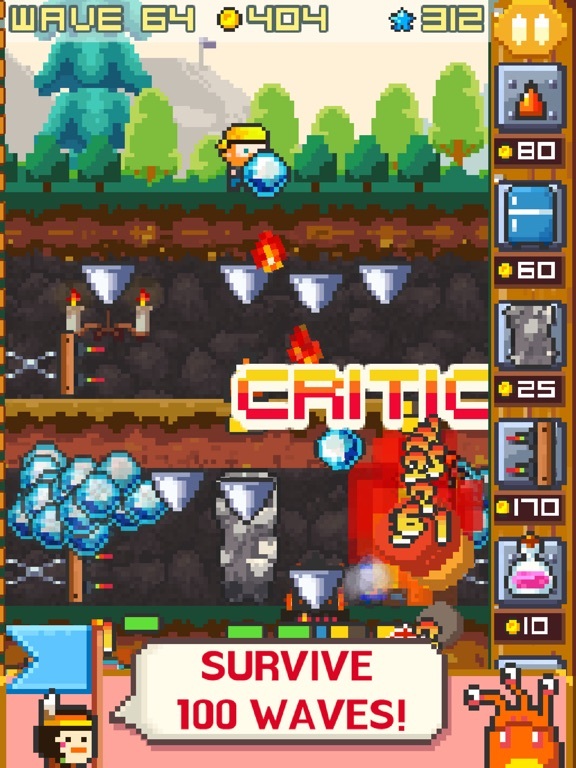 Rpg elements make this game even better. Save up coins for upgrading and laying down different traps and the stars you collect unlock which traps you can buy. I've been playing for two hours now and am not at wave 55 on my first of five heroes. Highly recommend for only $1 this awesome game will provide hours of playing . I mean $1 is what people pay to get 5 tries on candy crush . Congratulations on the new addition to the family! Do you know if it's a boy or girl? The game looks really good! Fun game. Gets pretty tough once you get around 40 waves, but not so much where you just rage quit. Kinda wish there were some achievements though. Maybe via updates? You need achievement? I will seriously think about it! Is there specific items you have in mind? Any gameplay videos by chance? There is no pay wall. Like any game you can pay to get currency but by all means you don't have to pay. The game gets harder at level 50 because if you flew through the entire game what would be the point. I think what he is trying to say is if you wanted to beat the game in ten minutes then you can buy tons of coins . I've been playing for two hours now and I am at wave 55 on my first of five heroes. So I got it... And am really enjoying it so far. I've only made it to wave 20, but I'm really liking it. Kinda like Castle Doombad, with a hero. I did notice that when I paused the game either right before or during a Wave 10 announcement, and the game kept playing behind the pause menu. Outside of that... It looks like another game from ParkPill that I will be throughly enjoying for at least a couple weeks, if not longer. This is a beautiful thing. I will happily buy the game. And if it makes its way to other platforms (i.e. Android or Steam) I will buy it there too. Congrats on the baby! I have 3 boys. Now they are 12 and 10 x2 (one set is twins). And they know almost more about games as well as the classics than their mom and I do. Thanks to YouTube. Fire and Ice is the key for the strategy! Hope it gets 5 stars as you get further. Actually it is on the Android as well. And I respect that you have three :O People tell me there will be hard time. But you have had like 3x hard time than me! Actually it is on the wave 70. I didn't push anything on the wave 50. But since many people don't like it, there will be an update to decrease the difficulty. So that people can clear the game within 24 ~ 48 hours without IAP.